Buying Appliance Repair Leads from companies that charge $15, $20, $25 per lead or per click. Here is what most of you don't know. You are not only paying for the customers that ACTUALLY need your appliance repair services. And that's not all, with most of those companies. You pay for the phone ringing... whether you book the appoint or not! Some you guys are paying $15, $22, $25 just to have your phone ring and they lock you into a long-term contract, and whether you make the appointment or repair the appliance. You are stuck paying a ridiculously high "appliance leads" phone bill month-after-month-after-month with nothing to show for it. While the "Leads" Companies fatten their wallets and telling you about the "numbers" of hits and customers that they sent to your website or company phone. 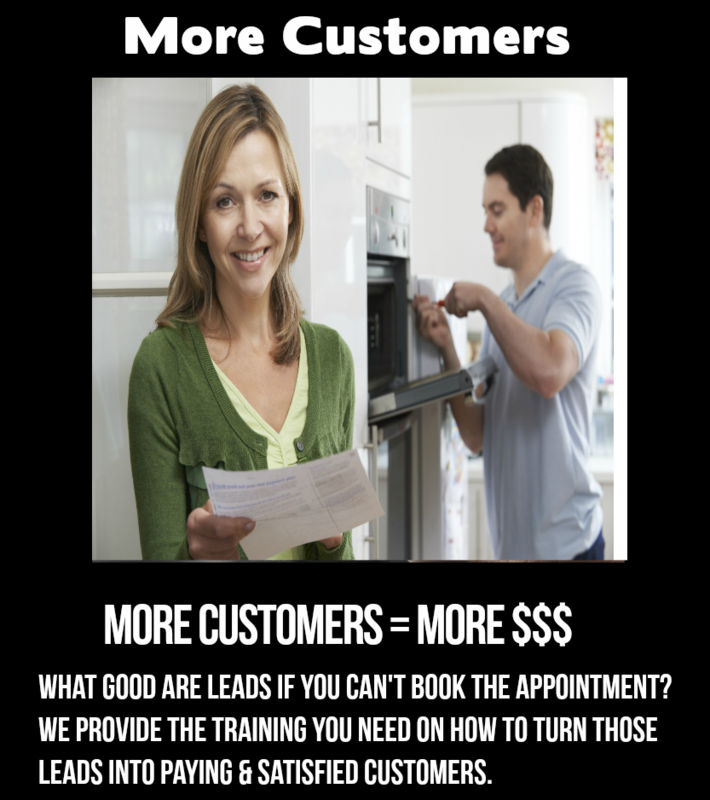 "Guaranteed Appliance Repair Leads" Your Exclusive Appliance Repair Leads that WILL NOT be shared with anyone else!! How Much Does Each Lead Cost? Do The Leads Only Go To Me? Yes. We show you how to have all the appliance repair leads that you generate with ALP go to your website or call your phone... ONLY!! To ensure that YOUR company & ONLY Your company receive the leads and convert as many as possible exclusive is the only way to go. How Many Leads Can I Expect Per Day or Per Month? Once you start using Appliance Repair Marketing Solutions (ARMS), you can have as many or as little as you want. However, with ARMS the more you use it the more appliance leads you will generate more high quality, high paying NEW customers. I believe in a VERY short time if you use ARMS like we show you. You will have MORE leads than you can handle. How Do I Get the Appliance Leads to Call My Phone or Visit My Website? That's Easy! We give you the EXACT ads to COPY & PASTE that you can do yourself. Or you can pay a ONE TIME payment of $5 and have it DONE for you... it doesn't get any easier than that! We understand the some of you guys don't know how or don't want to take the time to do this yourself. NO Problem, we go you covered. As I stated above you can just pay a small one time fee of $5 and let them do it for you... it's Really that Simple! You Never Have to Pay for Leads Again... Ever! NO More MONTHLY Contracts for Shared Leads or Clicks! NO More - $15, $20, $22 or $25 Per Lead or Per Click! You Pay a ONE TIME payment and Generate All the Leads You Want! Telephone Blueprint Script - Exact words to use to Book the Appointment (My successful script for over 11 years and counting). What Makes Cornerstone's Appliance Repair Marketing Different? 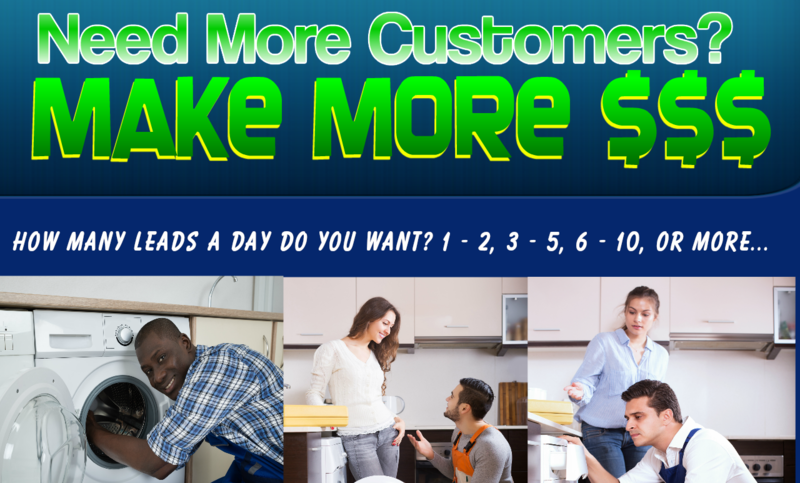 With the Cornerstone Appliance Repair Marketing you only pay one time fee and gain access to unlimited qualified leads and new customers contacting you about a service you offer. Unlike other marketing agencies, we don’t charge a monthly cost or a pay per click for services you may or may not need. And as we mentioned above like most lead generation companies, YOU don’t share the leads with anyone else. We have been running a "Successful" Appliance Repair Business for over 11 years and counting... And NOW we don't PAY for Advertising at All!! We will show you what has worked for us and it will work for you... Period! We know the Appliance Repair industry. We have already proven that... Very Successful for 11 years and counting. We know how to get NEW high quality & high paying customers. With Cornerstone's Appliance Repair Marketing, we don't just want to make your phone ring, it’s about helping you grow your business day-after-day, month-after-month & year-after-year... the right way! Are you already getting calls from SEO companies? If not, you soon will be. The average SEO Company will take 3 to 9 months before you see any results. With ARMS you will see results usually within 24 to 48 hours. You don't have to worry about sharing leads with your competitors. At Cornerstone, we teach you how to "crush your competition" without breaking your budget or wasting your hard earned money! Don't forget you 100% of the Appliance Repair Leads, Calls & New Customers! All you have to do is Turn it on, turn it off when you need more customers or want more business. It's really that simple! Now you can focus on answering the phone, make the appointment, grow your business and increase your profits. Let us show you that we mean business. We are willing to put our money where our mouth is. We’ve been successful since 2007 and we will make you successful as well. If you don't start receiving phone calls after using ARMS in 24 to 48 hours. You need to give us a call, you are doing something wrong! ARMS works every time in ANY City, State or Country. 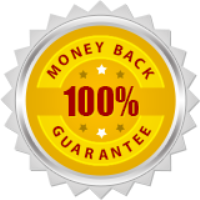 Don't forget, we offer our "Money Back" Guarantee. This is where most Appliance Companies make a huge mistake. Getting LOCKED into a contract. Don't fall for the "Short" term or "Long" term contracts. There's is nothing worse for a NEW or a Small budget company than getting locked into a contract and your phone not ringing. With Cornerstone, you pay a ONE time payment and we put our money where our mouth is. I HIGHLY recommend that you DON'T rely TOTALLY on manufacturer’s warranty companies for the income or the money you need to provide for you and your family. You should have a combination of the 2, especially if you are just starting. Let us show you exactly how to do that. If having a SUCCESSFUL Appliance Repair Business while dominating your local area has all ways been a goal for you, then ARMS by Cornerstone is exactly what you’re looking for. What's included in Appliance Repair Marketing? How to Setup & Maintain Your Own Free or Very Low Cost Advertising or Pay $5 & have someone else do it for you and... with 5 Additional Bonuses!! **Bonus #1** 1 Free Warranty Account & 3 Local Businesses - That's 4 FREE accounts with Multiple Locations that have Multiple Residential Appliances that ALWAYS need to be repaired in Your Area that will make you Tens of $1000s and consistent repeat business. 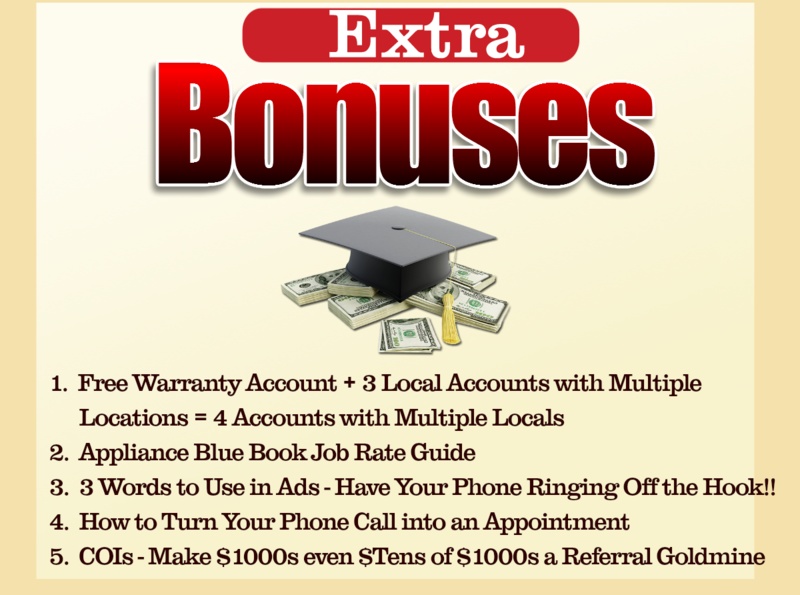 **Bonus #2** COI - How to make $1000s & an untapped Referral Goldmine. How to Make $1000s for Almost Free - Here is a tool that will make you $1000s if NOT tens of $1000s over time (I have been using it for years and still do). You will to get NEW Referrals & NEW High Quality Customers on auto-pilot day after day, week after week, month after month etc.. for as long as you want to. The best part... ALL of you have them, but don't know what they are and you are NOT using them! **Bonus #4** 3 Words to Use on Your Website or Ads That Will - Have your phone ringing off the hook and that crushes your competition. I have been using these exact 3 word technique for years and it crushes my competitors and they don't have a clue of how I am doing it. Learn how to crush you competition and get more calls & high paying customers easily and simple! !